When it comes to Christmas, it's all about the sparkle and the more the better. This year, champagne is the metallic of the season. I love how the soft shine of champagne holiday ornaments and decor mix with both gold and silver. I love these metal leaves edged with glitter. Easy to twist and bend, these branches look amazing on a mantle, tucked into a tree or cascading down the banister. 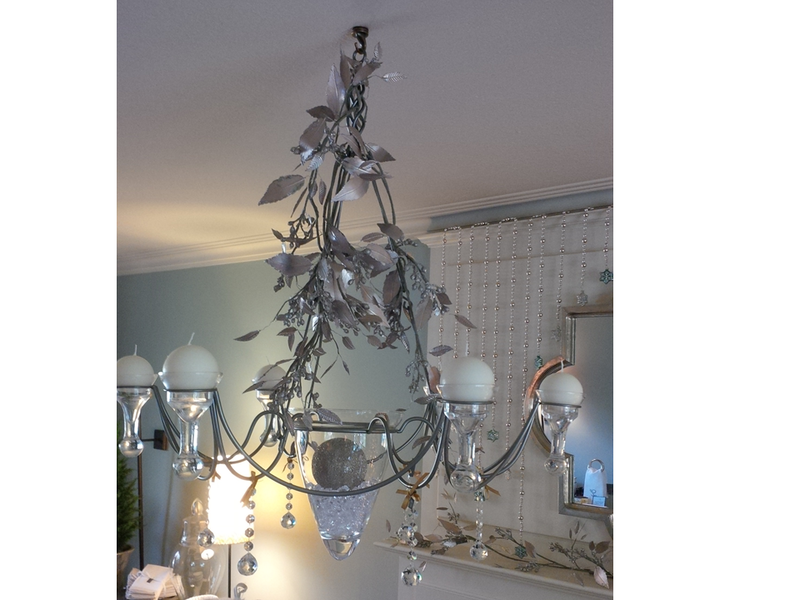 I wrapped them around my chandelier - stunning! I am always attracted by glittery ornaments and these mini snowflakes are gorgeous. They look amazing massed on a small tree or tied onto a gift. 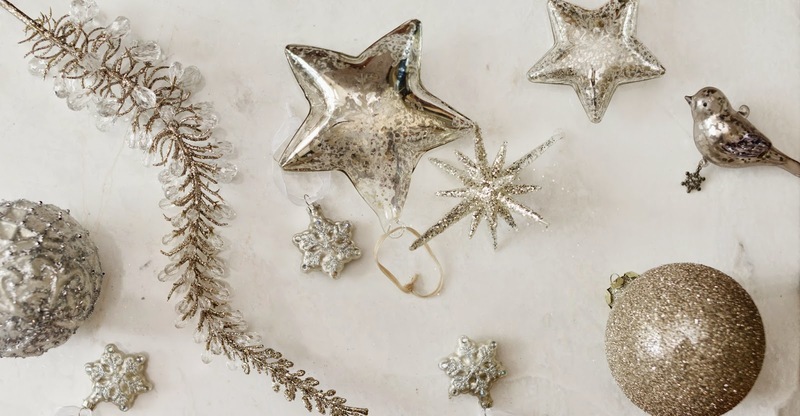 Mercury glass stars add lots of sparkle. I like these pretty glass wreaths - a welcoming greeting to guests. Large glitter balls provide scale and more sparkle. When decorating for Christmas, more is better so keep piling on the glitter and have a sparkling holiday season!